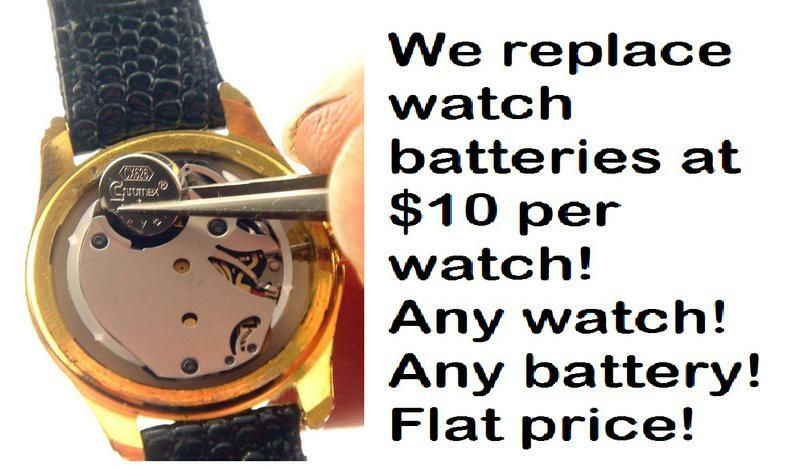 We replace watch batteries for a flat rate of $8 per installation. Near a hundred different watch batteries are available for any watch. Every battery is tested before installation to ensure you get the most out of the battery. Watch battery service is located in Mehlville (63129). You are very close to a watch battery replacement service if you live in: Oakville, Lemay, Concord, Sappington, Sunset Hills, Fenton, Arnold, and Columbia(IL).